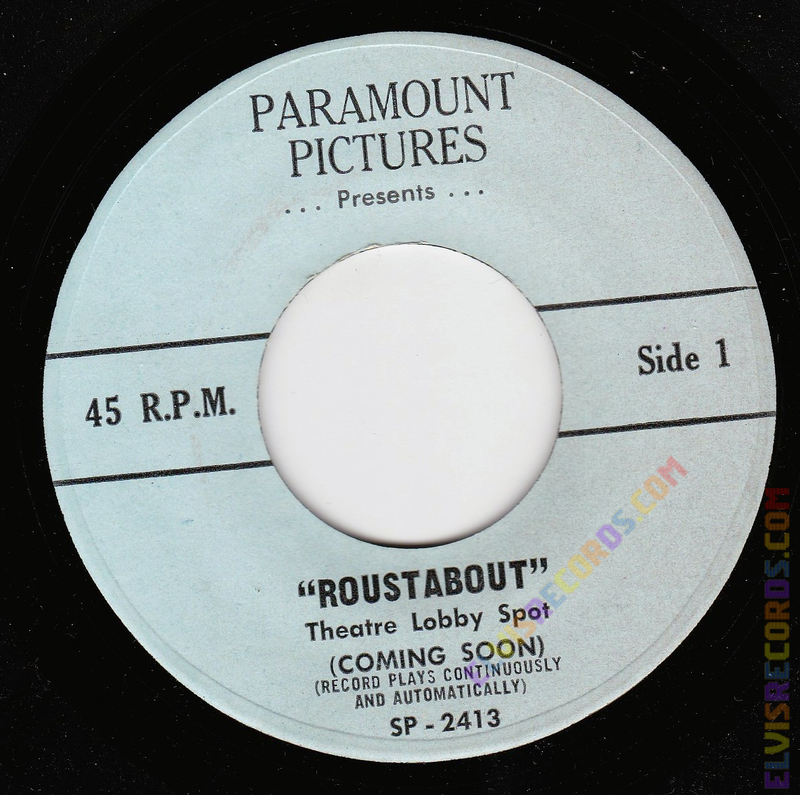 This is the Paramount Pictures Presents "Roustabout" on a 45 R.P.M. single that contains Theatre Lobby Spots. 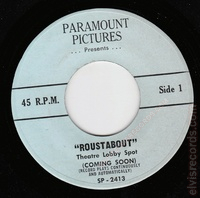 Side 1, Coming Soon, with SP-2413 for the catalog number. 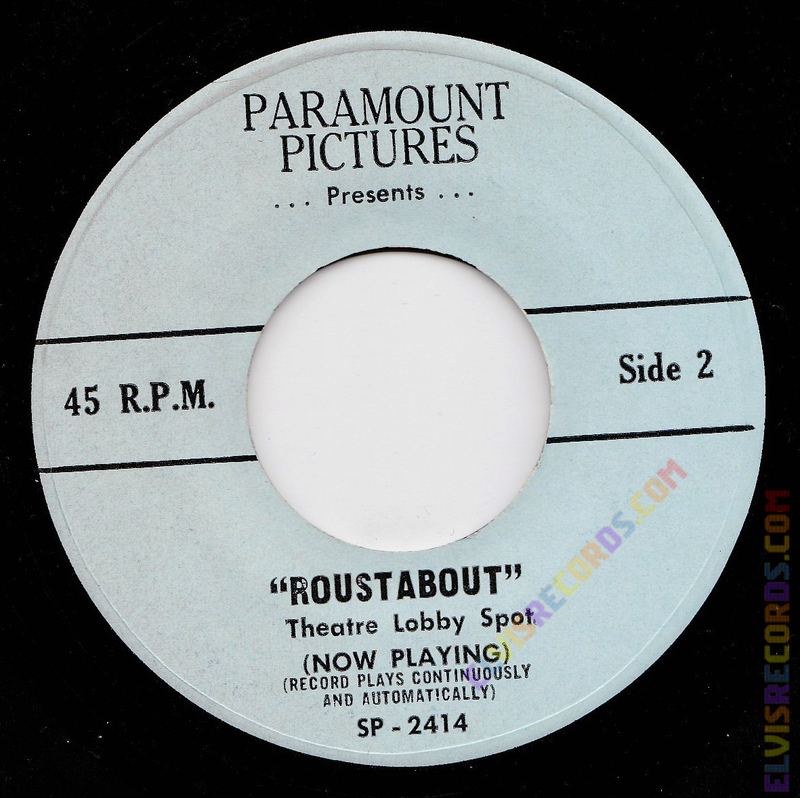 On Side 2, Now Playing, with SP-2414 for the catalog number.